Hammered Platinum Wedding Band Ring. Beveled, high polished sides with quality hammered finishing brushed center. The textured finish on this subtly designed ring is understated elegance in its simplest form, yet it still stands out as uniquely crafted wedding band. Also available in 14K White Gold, and 18K White Gold. 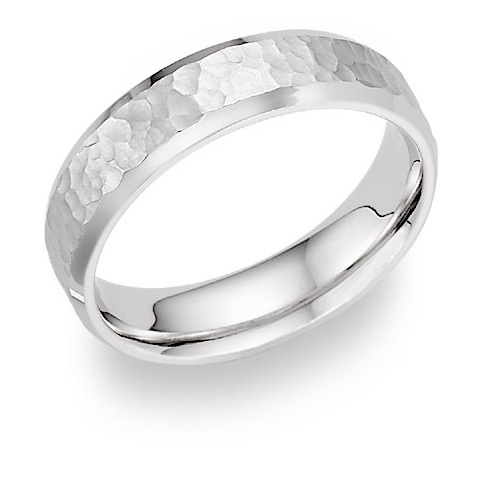 We guarantee our Platinum Beveled Hammered Wedding Band Ring to be high quality, authentic jewelry, as described above.